"The greatest threat to a Guardian is another Guardian." 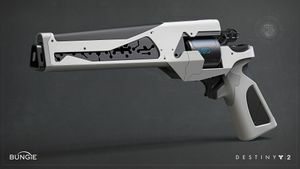 Judgment is a Legendary Hand Cannon in Destiny 2, obtained from The Emissary by playing Trials of the Nine. IN SOME SMALL WAY, YOU FOUND US. But discovery always has a price. With curiosity comes consequence.